WHAT if the fourth-quarter results of listed companies are in fact the audited full-year financial statements, as opposed to the practice now of releasing unaudited figures first? Is that entirely a good thing or should we be concerned that there may be drawbacks to such a change? What's for certain is that we ought to start thinking about this possibility, because it appears that the regulators are already soliciting feedback on a proposal to require listed companies to issue their annual audited accounts sooner than within four months after the financial year-end, as currently stipulated by Bursa Malaysia's listing requirements. The Securities Commission (SC) signalled the likelihood of bringing forward this deadline when it published the Corporate Governance Blueprint 2011 last July. The Blueprint recommended the formation of a task force of industry representatives and regulators to review the framework for periodic disclosure of financial and non-financial information, including the shortening of the submission period for quarterly and annual reports. 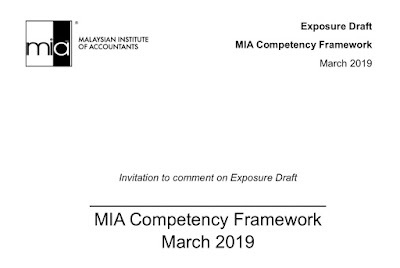 Nothing more was heard about this until February, when the World Bankcame out with a report on the observance of standards and codes in the accounting and auditing environment in Malaysia. According to the report, Bursa wants to move the deadline for submitting audited financial statements from four months after the end of the financial year to two months. The World Bank adds that the stock exchange is conducting a consultation process with other stakeholders. In addition, it is understood that the task force mentioned in the Blueprintwill soon be set up. At present, listed companies are given two months to announce their unaudited results for the fourth quarter. This means there's as big as a two-month gap between the release of the unaudited numbers and that of the audited financial statements. This has led to situations in which investors have bought or sold securities based on the fourth-quarter results of the companies, only to find out several weeks later that the audited financial statements were significantly different. A decision to halve the timeframe for the submission of audited accounts will eliminate this because the listed companies will no longer make public their unaudited full-year figures. Being able to go through a listed company's audited annual accounts two months earlier than before is certainly a good thing for the investing community. But such a change doesn't happen without other consequences, including unintended ones. The World Bank report points out that one potential problem lies within Section 174 of the Companies Act 1965. If strictly interpreted, that section demands that the auditors of a holding company (which is what every listed company is) review the audit opinion for each of the holding company's subsidiaries before issuing an audit opinion on the consolidated financial statements. As such, the bank says a move to bring forward the deadline for the submission of audited accounts is a challenge for listed companies with many subsidiaries. It suggests that Section 174 be amended or clarified, and adds that the Audit Oversight Board is leading a discussion with stakeholders to clarify this legislative requirement. However, there's also the worry that audit firms may have to make tough choices in meeting the tighter deadlines. To ensure that their workload is manageable and thus the quality of the audits is maintained, firms may be compelled to jettison some listed companies from their client lists. The question then is, who would step in to be the new auditors of these listed companies? What if the new auditors are smaller outfits with limited resources and yet they have no qualms about taking on more jobs? What if these audit firms are willing to charge lower fees to secure these clients? If not studied carefully and implemented wisely, a move to ask listed companies to be quicker in issuing their audited accounts may backfire. There is indeed a huge difference between haste and timeliness. Executive editor Errol Oh wonders why a handful of listed companies are always among the first to announce their quarterly results, while so many of the rest just barely meet the deadlines.